Hot spots can arise very quickly - sometimes in a matter of hours. 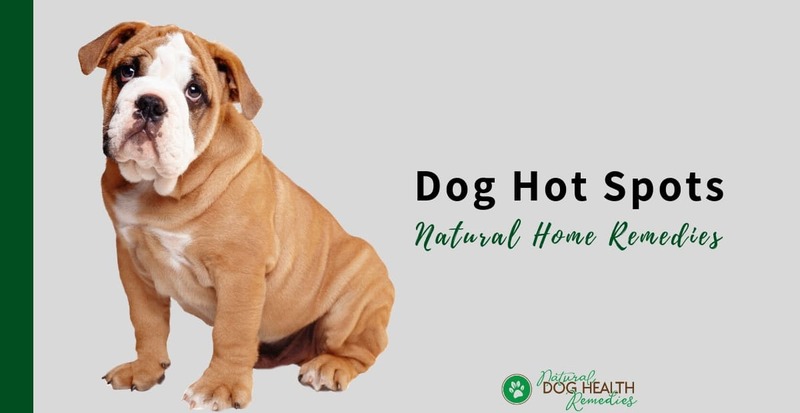 They can cause a lot of discomfort and pain to your dog, although in most cases hot spots in dogs are not serious and can be managed at home. As a general rule of thumb, if the hot spots do not go away after home treatment for a couple of days, or if they are spreading quickly with weeping, oozing sores, then you need to take your dog to the vet. If your dog has hot spots and you would like to first use natural remedies to treat the problem, read on. For information on the symptoms and causes of dog hot spots, please visit this page. 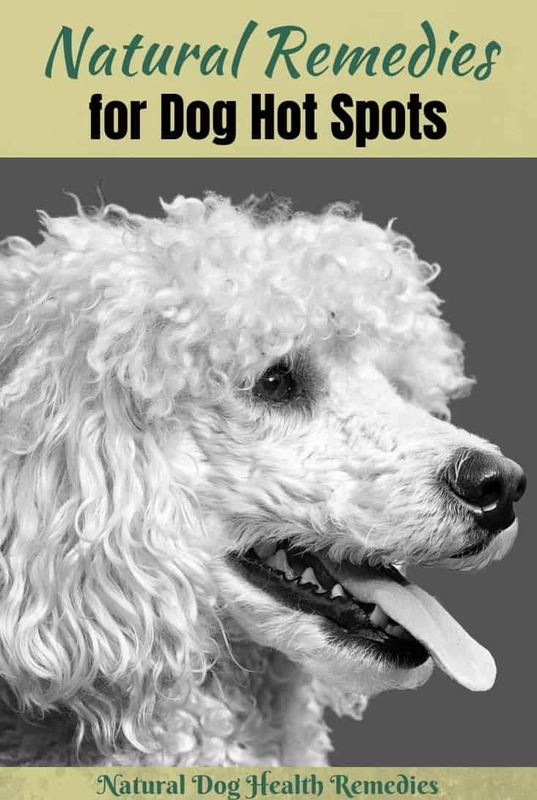 The most important point to remember when treating dog hot spots is to keep the affected areas dry, so it is advisable to clip the hair away from the hot spots. Also, remove any hair that has become stuck to the sore because of oozing pus. Since the sore can be painful to the dog, he might not let you handle him so care has to be taken - put a muzzle on him if necessary. Use a mild gentle skin cleanser to clean the wound. Then use a disinfectant such as povidone iodine (Betadine) to disinfect the hot spots. Povidone iodine should be diluted (to ice-tea color) before use. After cleaning and disinfecting the hot spots, you can try using any of the following remedies on your dog's hot spots. Aloe vera gel is cooling, skin soothing and has antibacterial and antiseptic properties. You can apply the gel to the hot spots as is. Add half a teaspoon of powdered comfrey leaf to 2 tablespoons of aloe vera gel to make a paste. Apply the paste on to the hot spots 2-3 times a day. Comfrey is an herb that, when used topically, can speed up healing of wounds and skin irritations. Alternatively, you can apply herbal honey to the wound. Honey is antibacterial and is excellent for wound healing. If you don't have herbs at home, a simple home remedy is to use green tea bags. Green tea has been found to be antibiotic and antibacterial, and it is therefore effective in treating dog skin irritation such as hot spots. A quick and simple way is to steep two green tea bags in a cup of hot water. Let it cool down and use the tea as a poultice and apply it to the affected area. Repeat 2-3 times a day. Coconut oil by itself has antibacterial, antifungal and antiviral properties. It is extremely skin healing and nourishing. The problem with applying coconut oil to hot spots is that, dogs usually like the taste of the oil, so they will lick off the coconut oil in no time! You could of course use a "cone of shame" (e.g. e-collar) to prevent your dog from licking. Alternatively, you could make coconut oil less tasty by adding something more "medicinal-tasting" to it. For example, add 4-5 drops of the essential oil Niaouli (Melaleuca quinquenervia) to a tablespoon of coconut oil and apply it to the hot spots. Niaouli essential oil doesn't exactly have a pleasant aroma (which could be a deterrent for licking). Despite the smell, it is an excellent oil to have because it is similar in therapeutic properties to Tea Tree oil (antibacterial, antifungal, antiviral), but milder and safer for dogs. Helichrysum (Helichrysum italicum) - Expensive but extremely skin healing. Thyme ct. linalol (Thymus vulgaris ct. linalol) - Antimicrobial and anti-inflammatory. Lavender (Lavandula angustifolia) - Very skin healing and calming. German Chamomile (Matricaria recutita) - Has excellent cooling, pain relieving, anti-itching, and anti-inflammatory properties. If your dog's hot spots are very itchy and irritating, apply a cool compress to the affected area 2-4 times a day. This will alleviate the intense itching. Soak a cloth and wring it just until it stops dripping. Apply the compress to the affected area. When the compress becomes warm, soak it again in the peppermint tea, and repeat for 15-20 minutes. If you have hydrosols, you can also make a cool compress using an undiluted hydrosol of either Lavender, German Chamomile, or Yarrow. Apply the compress to the affected areas. Is Apple Cider Vinegar Good for Dog Hot Spots? Apple cider vinegar can relieve itching caused by hot spots, and since it is antiseptic and antibacterial, it may help prevent secondary bacterial infections. BUT - if your dog's hot spots are already rather raw and weeping, ACV can sting and your dog may not appreciate it, so be forewarned! Below are some natural products for dog hot spots that contain herbs and other natural ingredients. They are safe, gentle but very effective in treating hot spots. This spray contains skin soothing herbs such as green tea extract, aloe vera oil, eucalyptus oil, St.-John's wort, witch hazel, etc. This spray can give almost instant relief to skin irritations such as hot spots. This shampoo contains a lot of good herbs - such as green tea, goldenseal, slippery elm, marshmallow root, garlic, etc., and is effective in treating not only hot spots but also skin allergies caused by fleas and other irritants. It makes your dog smell good too! This healing cream contains a lot of soothing and healing herbs (e.g. 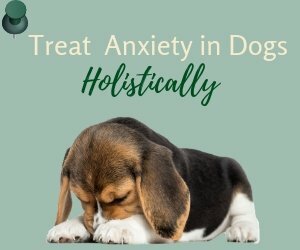 calendula, goldenseal, chamomile, comfrey, and more) and can help dogs with superficial skin infections, hot spots, and other skin irritations. This gel is made from natural collagen, which promotes new skin cell growth and wound healing. The gel acts as a tissue adhesive, and it also helps prevent bacterial infection. If your dog is susceptible to the development of recurring hot spots, it is important to first of all take a look at his diet. Is he eating a natural, well-balanced, high-quality animal protein based diet? If not, it's time to change! Read this article on what makes a good healthy diet for dogs. If your dog is already on a natural healthy diet, consider adding some skin and immune support supplements to fortify his skin health and strengthen his immune system. Omega-3 Fatty Acids: Omega-3 FAs are anti-inflammatory and good for the skin. Adding fish oil (e.g. salmon oil) to the dog's diet can largely improve and strengthen his skin health. Probiotics: Probiotics are essential for a dog's gut health. And the thing is, a strong gastrointestinal system is important as it is the first line of defense against pathogens. If a dog has a weak GI system and suffers from intestinal problems, these problems can very often cause other health issues, including skin irritations such as hot spots and eczema. In addition, since hot spots could be caused by toxicity (from poor-quality food to environmental irritants), and toxins are broken down by the liver, it is advisable to do a liver cleanse for your dog on a regular basis. Be sure to read this page on Liver Cleanse for Dogs for more information.